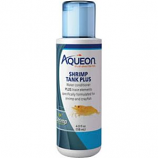 Petwholesaler is an online B2B distributor for wholesale aquarium water conditioners. we provide services across the US with the best price in the market. 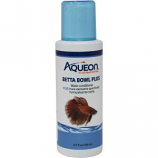 • A Complete and Concentrated Conditioner For Both Fresh and Salt Water. • Removes Chlorine, Chloramine and Ammonia, Which It Converts Ina Safe, Non-Toxic For Readily Removed By The Tank S Filter. • Detoxifies Nitrite and Nitrate, Allowing The Biofilter To More Efficiently Remove Them. • Will Also Detoxify Any Heavy Metals Found In The Tap Water At Typical Concentration Levels. • Promotes The Production and Regeneration Of The Natural Slime Coat. • Non-Acidic and Will Not Impact Ph, Will Not Overactivate Skimmers. • Raises Carbonate Alkalinity Without Immediately Impacting On Ph. • Carbonates and Calcium Are Essential To All Coral Growth. • Will Not Deplete Calcium, Magnesium Or Strontium, Which Usually Tend To Precipitate With Increasing Alkalinity. 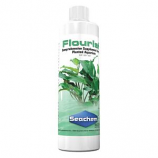 • Rapidly Removes Phosphate and Silicate From Marine and Freshwater Aquaria. • Not Recommended For Phosphate Buffered Freshwater. • Highly Porous For High Capacity and Bead-Shaped For Optimum Water Flow. • Outperforms All Competing Products. • Ammonia Alert Continuously Monitors and Detects Free Ammonia In Marine Or Freshwater Aquaria. • Ph Alert Is A Unique Color Device Designed To Be Placed In The Aquarium Or Filter and Monitor Ph Continously. • Has Iron Reducing Properties Which Promote The Ferrous State Of Iron, Which Is More Easily Utilized By Plants Than Ferric. • Will Rapidly and Safely Establish The Aquarium Bio Filter In Freshwater and Marine Systems, Preventing New Tank Syndrome. 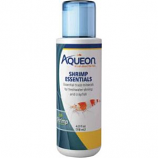 • Formulated Specifically For The Aquarium and Contains A Synergistic Blend Of Aerobic, Anaerobic and Faculative Bacteria. • Completely Harmless To All Aquatic Organisms As Well As Aquatic Plants. • Intended Primarily For Use As A Buffer In A Reef System Where The Maintenance Of A Ph Of 8. 3 Is Often Difficult. • Will Also Raise The Carbonate Alkalinity. • Specificially Designed To Meet The Needs and Requirements Of The Closed Reef Environment. • Specifically Designed To Establish The Ideal Mineral Content For The Planted Aquarium. • Contains No Sodium Or Chloride Which Can Be Detrimental To A Planted Aquarium At Elevated Levels. • Ideally Suited For Use With Reverse Osmosis Or Deionized Water Or Any Mineral Deficient Water. • Raises The Essential Mineral and Electrolyte Content Of The Water To Balance With and Promote Stability Of Carbonate Hardness. • A High Porosity Biomedia That Provides Efficient Biofiltration For The Removal Of Nitrogenous Waste. • Completely Inert and Will Not Break Down and Does Not Need Replaced. • Compatible With All Types Of Wet Or Wet-Dry Filters. • A Premium Synthetic Adsorbent That Is Unlike Any Other Filtration Product. • A Unique Macro-Porous Synthetic Polymer That Removes Soluble and Insoluble Impurities From Water. • Controls Ammonia, Nitrites and Nitrates By Removing Nitrogenous Organic Waste That Would Otherwise Release Harmful Compounds.